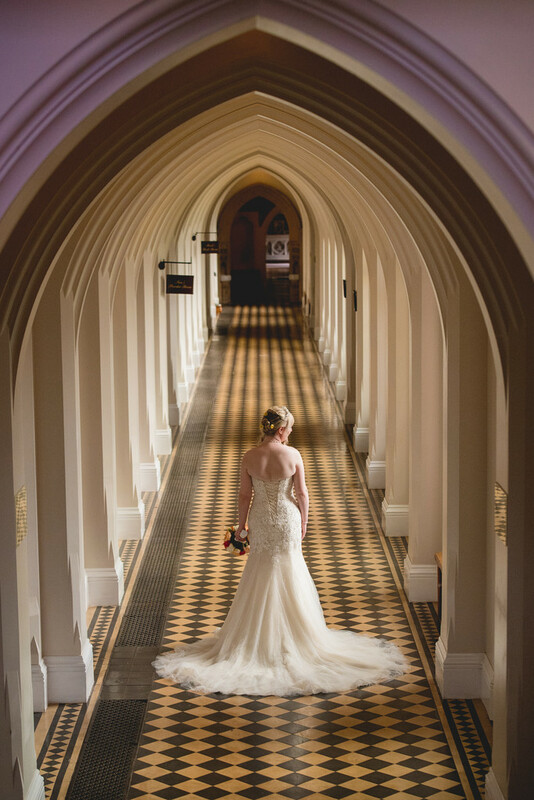 Stanbrook Abbey in Worcester is an amazing wedding venue that has so much to offer photographers both inside and out. As well an extensive grounds including lawns, formal gardens and even it's own lake, Stanbrook Abbey has a labyrinth of internal space too. 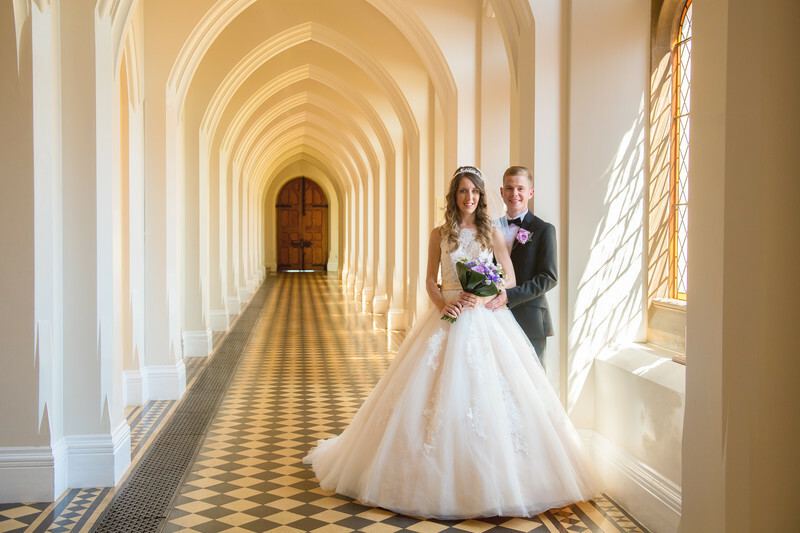 One of my favourite places to take photos inside the venue is the cloisters. You can see the more traditional view of the cloisters above, in this photo from Rebecca and Ryan's wedding. For the main image though, I wanted to do something a little different and show the corridor in a different way. For this, I went to the first landing of the venue's main staircase and shot back down the corridor. I placed Louise, the bride, centrally in the corridor and made sure her wedding dress was splayed out correctly. I really wanted to show of the back of her wedding dress and all of the finer details. I asked Louise to stand with her body facing forwards, but with her head turned to look out of the windows immediately to her right, as this look is very flattering given the direction of the light. One of the things I love the most about this photo is the perspective and how the image draws you in. I love the repeating pattern on the floor and how the alcove ceiling repeats perfectly the entire way to the door at the end that leads into the Callow Hall.